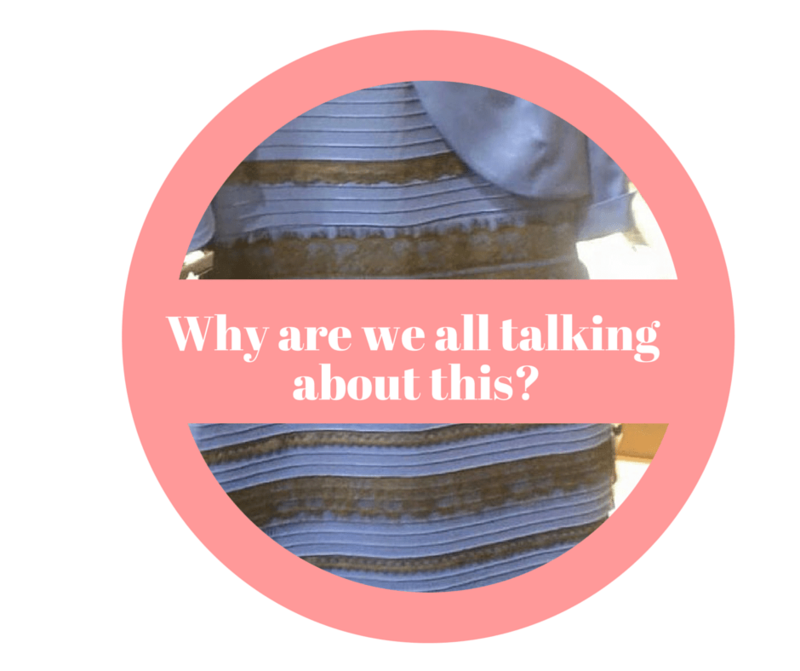 Why are we all talking about a dress? Fridays I work from home. Which means that I spend more time on social media than I should. My feed, like everyone elses, was filled with this dress and endless opinions on its colour. I joined in. Others joined in. The whole damn world joined in. Big blogs commented their opinions, little blogs commented, newspapers covered it and Wired finally settled the thing for good. I saw gold and white every time. But I suppose that’s not the point. Why did a dress get the kind of virality a Kardashian would dream about? What was it that captured our collective imaginations? Perhaps it was a conversation that we all felt we could be a part of. Something fun and easy. No danger of offence or looking silly or having to form a coherent argument. Maybe we are all fascinated when things aren’t as black and white (or gold and white or blue and black or lilac and white) as they seem. When truth bends depending on the viewer. When things that seem like they should be absolute are not. Maybe this is the online version of a mood ring, and there is something in our brains that wires us to love the faddish. Maybe we all just like to be a part of something big – some broader conversation, even if it’s about something terribly inane. Maybe we just don’t want to miss out. But why did this take off? Why don’t we talk about the big issues with such passion? Why is this what goes viral? Why do you reckon we all jumped on this particular band wagon? Have we all lost the plot? I think we are just fascinated by optical illusions – sill all kids at heart! So very true – we need to talk about the bigger issues with this must passion. I do find it fascinating what grabs the collective attention. I guess this sort of thing doesn’t really challenge people but still allows a fun debate.